Credits are a great way to thank a customer for referring their neighbor or making good on a poor experience! Serving sunny San Diego - Jennifer and the team at JenLovesPets rely on their passion for pets, people and quality service! Does a pet sitter or dog walker need a certification? That’s the question we answer in this blog! 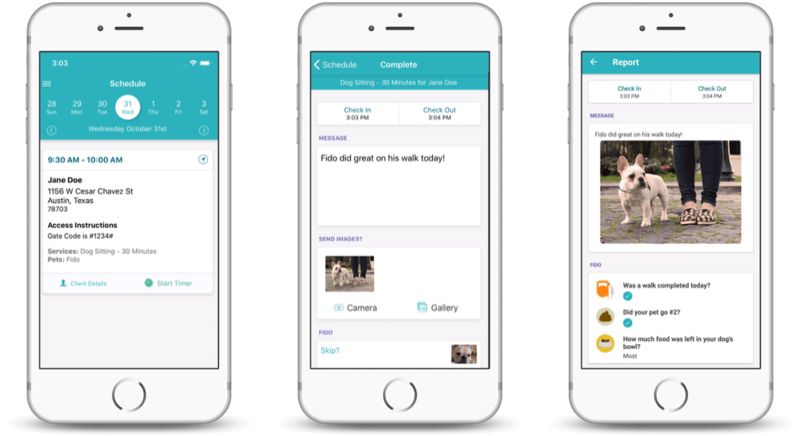 Keep track of the most important messages from clients or staff by using Starred Messages! Saved Replies are a great way to save and use the most common messages you send to clients! The Happiness Score is a great way to collect regular feedback from your customers! Have more than three preferred sitters? Need a ‘Do Not Schedule’ list? Now you can! 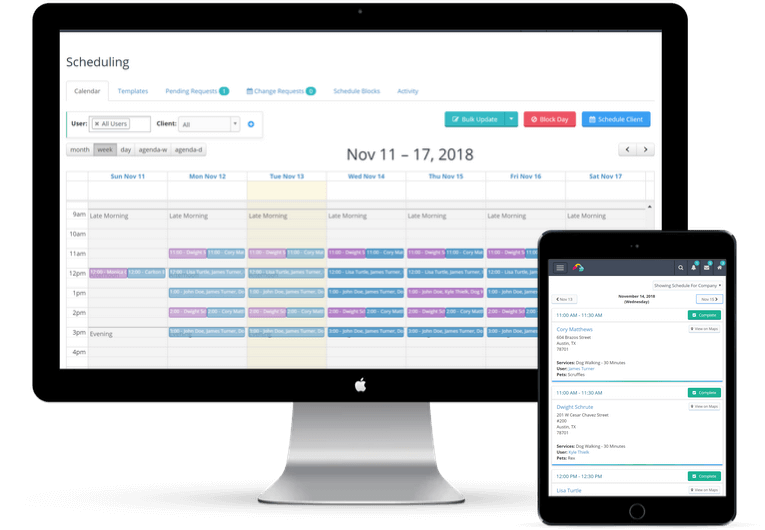 Quick Re-Assign is a great and underutilized tool to schedule service for your pet care business! 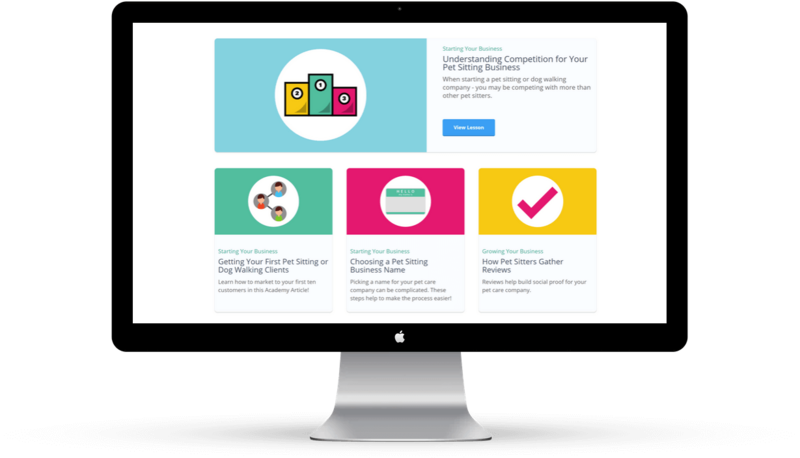 Product Updates Getting Social With Your Pet Sitting Business! Time To Pet now supports social media links in your Client Portal and Emails! Our next two feature announcements highlight a new revenue report and a staff management tool! System Notifications are a great way to see additional types of messages right in your client's Conversation Feed. Twin Cities Dog Walking & Pet Sitting is up next in our Client Spotlight series! Client Spotlight Client Spotlight - Lake Wylie Pet Sitting! We are very excited to feature Martie Anderson and the team at Lake Wylie Pet Sitting in our next Client Spotlight! Client Spotlight Client Spotlight - The Pet Sitter, LLC! Based in Boise, ID - Julie Fredrick and her team bring professional pet care to the Treasure Valley! Client Spotlight Client Spotlight - Pet Sitting 4 Paws! This week's Client Spotlight is shining on Meghan Breidenbach and her great team at Pet Sitting 4 Paws! We've made it even easier for customers to redeem visits from their package! Need a better way to run your business? Looking for lessons on starting, growing or managing your business? Check out our free Academy! Not quite ready to get started?